View on Oosterdok. 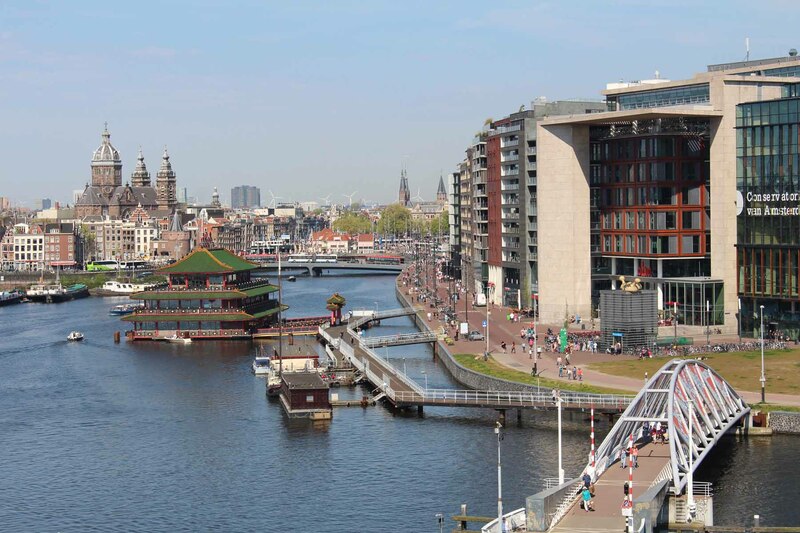 It is a stretch of water of the city of Amsterdam bound with the IJ lake. Oosterdok was created in 1832 following the construction of a dike.